The icy winds are blowing! It’s recommended to stay in your house… And to keep you entertained, we’re going to host an Experience Weekend! It begins at Friday, 08.02, 18:00 CET and it ends at Sunday, 10.02, 22:00 CET. 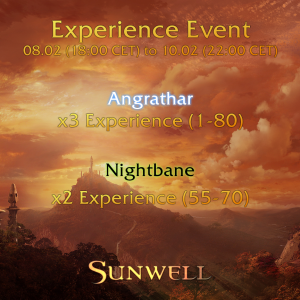 Angrathar: x3 XP from 1 to 80! 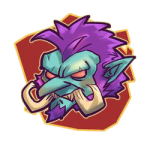 Nightbane: x2 XP from 55 to 70! The bonuses do not stack.